In 1986, Paris consolidated most of its collections of French art from 1848 to World War I in the most unlikely of spots: a old converted train station. While the museum does contain earlier, mid-19th century works by the likes of Ingres and Delacroix, without a doubt the Orsay's biggest draw is its massive collection of paintings and sculptures those crowd-pleasing Impressionists. So many of the works here are so widely reproduced that you might wander through with an eerie feeling of déjà vu. There are Degas' ballet dancers, his l'Absinthe; Monet's women in a poppy field, the Rouen cathedral painted under five different lighting conditions, a giant Blue Waterlillies; Van Gogh's Restaurant de la Siréne, Starry Night, self-portraits, peasants napping against a haystack, and his Bedroom at Arles. Then there are artistic icons of surpassing fame: Whistler's Mother; Manet's groundbreaking Dejeuner sur l'Herbe (Picnic on the Grass) and Olympia, which together helped throw off the shackles of artistic conservatism, giving Impressionism room to take root. Add in a generous helping of Cézanne, Gauguin, Rodin, Toulouse-Lautrec, Pissarro, and Seurat, and you could easily spend a full day (or two) exploring this museum. The works of Monet, Degas, Courbet, and other impressionists shocked the art world and propelled French painting forward. Our 3-hour Musée d’Orsay tour examines the rich 19th- and early 20th-century collections of this world-class museum. In the company of an art historian, we'll dive into one of the best collections of Impressionist art in Paris and learn about the major art movements of the period—from the Barbizon school and Realism, to Impressionism—as well as their most celebrated players, including Monet, Degas, and Courbet. This tour is an excellent complement to our Crash Course Louvre Tour and our more specialized study of Louvre French Masters Tour. View Impressionist and Post-Impressionist masterpieces by the likes of Monet, Degas, and Courbet. Trace the evolution of 19th and early 20th century French art. Musee d'Orsay Tour led by an art historian. No more than 6 people per group. Before delving into the art itself, we will begin by considering the museum's unique structure. First constructed as a rail station serving the South of France, architect Victor Laloux saw the upcoming World's Fair of 1900 as an opportunity to showcase France's ability to modernize, drawing attention to the structure's steel and glass design elements. After serving as a rail station for only 39 years (as electricity grew in popularity and trains became longer, the Orsay station's short platforms were rendered unusable), the station was preserved as a historical building in the late 70s, before opening as a museum in 1986. While the Orsay's collection includes all varieties of artwork produced from 1848 to 1914, our walk will concentrate primarily on painting. Following a roughly chronological trajectory, we'll begin on the ground floor with the works of the Barbizon school and Corot. With the evolution of the paint tube, artists were liberated from their studios. Emphasizing nature and atmosphere, these artists made a break from the expectations of previous schools and were freed from focusing on antiquity and classicism. From here, we'll move on to the Realists who flourished under the 2nd Republic. Stopping by works by Realist artists like Courbet and Manet, we'll discuss the new techniques and ideas that Realism introduced to the visual arts, and their influence on the future Impressionists. We then move to the Impressionist works of Monet, Renoir, Degas, and Pissarro. We'll discuss the spread of Impressionism and its radical departure from traditional schools of painting and the role of French art salons. Continuing on to the likes of Cézanne and Van Gogh, we'll discover how early Impressionism influenced all subsequent artists, and itself gradually morphed into a number of different movements such as Neo-impressionism, Fauvism, Pointillism, and Cubism. We'll wrap up with these later movements, precursors to Modernism, among which exist contributors such as Matisse, Braque, and Gauguin. "[Our docent] was an outstanding guide! Seriously the best tour I have ever been on!" By the end of our time together we'll have a robust understanding of these major art movements and how they contributed to each other's formation and the formation of modern art in the later 20th century. Traveling to Paris with children? You may enjoy our Musée d'Orsay with Kids Tour. The Orsay museum in Paris is one of the most visited museums in the world, known for its vibrant collection of nineteenth- and early twentieth-century masterpieces by the likes of Courbet, Monet, and Seurat. This 2.5-hour Musée d'Orsay with kids tour, led by an art historian trained in working with children, provides a dynamic, child-oriented introduction to the museum and its highlights. Venturing through its expansive halls—the museum is housed in a former train station!—we'll look together at some of the major art movements represented in the collections, like Realism, Impressionism, and Post-Impressionism. Using learning activities and visual thinking strategies, we'll encourage close looking: What do you see in this image? Why might Van Gogh's works have such wild colors? Do Monet's Water Lilies look funny to you up close? Our hope is that our young art-spectators will come away with familiarity with these world-famous movements as well as a deeper appreciation for "reading" and understanding art. Highlights the museum's vast Impressionist collections (and beyond) in a child-friendly manner. The Orsay's collections are housed in an opulent turn-of-the-century building (quite à propos for displaying art of the same time period). But did you know this building wasn't always a museum? In fact, it was constructed as a train station! We'll begin our tour by interpreting the structure together, a first step in our lesson of "reading" art and our surroundings. Why would the building need such a lofty glass ceiling and enormous archways? Can you imagine where the trains might have gone? Surely we'll look at images of the station in its heyday before moving on to talk about the shift from station to museum. We might also talk about other museums we've seen, perhaps in our home cities, and imagine what other unconventional spaces could be used to house art collections. With discussions of trains under our belts, we'll move on to the art itself. We may start with works from the Barbizon school, considered a precursor to Impressionism. Barbizon painters worked almost exclusively outdoors, en plein air, and tried to paint their surroundings in as realistic a way possible. Have you ever taken a sketchpad outside to draw? How is it different than drawing a subject, inside, from memory? Would the colors of your drawing change depending on the time of day and the position of the sun? Moving on from the Barbizon, we may look at Realism, particularly works by Courbet and Daumier. These artists and their contemporaries liked to paint the people they saw in the every day—doing their shopping, or playing chess—rather than stiff, idealistic portraits of people like Kings and Queens. Sometimes their paintings and drawings were humorous and even satirical, while at other times they were simple reflections of human activity. Looking at these works together, we'll turn the question to you: If you had to draw or paint in a Realist manner, what would you want to draw? At the heart of our walk, we'll take in the work of the Impressionists. These artists—some of the most famous of which are Claude Monet (whose house and garden we visit on our Giverny Tour), Edgar Degas, and Édouard Manet—rejected formal artistic rules. Like the Barbizon and Realist painters, they preferred subjects drawn from modern life. Can you detect any differences between the Impressionist works and the Realist works we just saw? One clarifying difference is in the brush strokes—in the Impressionist works, they are visible, short, and thick—almost texturized. Can you imagine what an Impressionist painting might feel like to touch? This was revolutionary at the time, and many of these artists were ridiculed by the press and art collectors for being too avant-garde with their ideas. "[Our docent] made the tour valuable and fun for both adults and children. He keyed into each of my children's different interests and worked with us in a pleasant and informative way. We felt that we came away from our tour with a much deeper knowledge of art and history. We would highly recommend . . ."
As our time together comes to a close, perhaps after a brief look at some of the Post-Impressionist works in the museum, like Pointillism (can you imagine the time it might take to paint a large-scale canvas with tiny little dots? ), we'll emerge with a better understanding of how to look at art, and perhaps also the ability to see the evolution of these nineteenth-century movements. Our Musée d'Orsay for Families tour is the perfect complement to our Louvre for Kids Tour, which looks at art from Antiquities until the early nineteenth-century. Please let us know in advance of the tour if you or your children have special interests you would like addressed. In addition to our family program tours, we may be able to adapt certain other tours to the needs of families, though please note such adaptations would not incorporate special activities. Please contact us for more details. Enjoy the highlights of Paris while on this 8-hour private tour. An English-speaking guide will accompany you, as you ride in the minibus through the city. Learn about each landmark's significance as your drive, including a guided tour of Musée d'Orsay. Start your day with a pickup from your central Paris hotel at approximately 9:00am. Begin your day with a visit to Notre Dame and Ile de la cité. Then, make your way to Montmartre, as well as the Opera House, where you will view the exterior. Observe Concorde square, Arc de Triomphe, and the Champs Elysées as your guide tells you about each location. Drive past the Invalids, the Grand Palais, the Marais District, and finally, Bastille Square. For your first guided portion, enter the Eiffel tower, using your skip-the-line ticket. After your tour of the tower, move on to your second guided portion, a tour of the Musée d'Orsay. Skip-the-line once again, avoiding the long entrance lines, and begin viewing the impressive building. Once your tour comes to an end, your guide will return you to your accommodations . Enjoy this 2-hour private guided tour of Orsay Museum with the special focus on museum´s history and architecture and the 19th century art. Once you meet your guide at the designated meeting point, you can get ready for two hours of art and culture. You will walk where the train once ran, and admire the art from the mid-nineteenth century to 1914. You will cover realism, impressionism, post-impressionism and art-nouveau. You will discuss Delacroix, Ingres, Courbet, Daumier, Millet, Manet, Monet, Degas, Renoir, Rodin, Cezanne, Vang Gogh, Gauguin, Toulouse-Lautrec and many others. Take a 2 hour small group tour of Musée d'Orsay and let your expert guide lead you to the most important collection of impressionist masters: Manet, Degas, Monet, Cézanne, Renoir, Sisley...and PostImpressionist masters: Van Gogh, Gauguin, Pont-Aven, Cross, Seurat, le douanier Rousseau. Skip the line and enjoy a Guided Tour with a professional licensed guide. Morning, afternoon or evening tour, choose what is best for you! You meet your private guide by the HORSE STATUE in front of the museum d' Orsay. You skip-the-line with your guide to enter and discover this once beautiful train station. On your right a copy of the Statue of Liberty, on your left paintings by Manet and right in front of you some of the greatest works by Rodin. You definitely are in the right place aren't you?! Together, we will compare the Official Art of France' Second Empire and the Impressionists. You'll see Paris through the giant Clock before enjoying Monet's Waterlilies and Renoir's Moulin de la Galette. Degas's ballet dancers are waiting for you as well ! Some Cézanne, Pisarro and Manet's art work will complete this amazing collection! You will get to admire the work by their disciples from all over the world: Starry night by Van Gogh, Moulin Rouge by Toulouse-Lautrec. Delve deep into the worlds largest collection of Impressionist paintings on this 2-hour skip-the-line Musée dOrsay audio tour. Many visitors to Paris famous Musée dOrsay experience long queues and hours of waiting. Enjoy skip-the-line entry and head straight inside, then pick up your audio guide and begin your tour. Marvel at famous masterpieces such as Degas Petite danseuse de 14 ans and Manets Le Déjeuner sur lherbe. Explore at your leisure as your audio guide shines a light on the techniques and technologies at play in the works. Choose from three different tour times to suit your schedule and head to Pariss famous Musée dOrsay to begin your tour. Home to the largest collection of Impressionist artworks in the world, the Musée dOrsay is widely considered among the French capitals finest museums and gallery spaces. With your skip-the-line ticket, beat the main queues and head straight inside the museum. Then, pick up your audio guide and set off to begin exploring at your leisure. With your map in hand and the audio guides informative commentary detailing the artworks you see, make your own way around the museum and gain insight into the many magnificent masterpieces you find. Admire well-known works such as Degas Petite danseuse de 14 ans, Manets Le Déjeuner sur lherbe, Renoirs iconic Bal du moulin de la Galette and Monets beautiful Rouen Cathedral series. Hear details of the works on display and gain insight into the lives and works of their famous creators. After two hours exploring the Musée dOrsay, your audio tour concludes, leaving you free to continuing explore independently. Gain skip-the-line admission to the Musée d'Orsay (Orsay Museum), renowned for its Impressionist masterpieces. Admire the Beaux-Arts architectural features of this former Paris railways station, located near the Louvre on the left bank of the Seine. You'll find artworks by the masters, including Degas, Cézanne, Van Gogh, Manet and Monet. Spend as long as youd like perusing the galleries at your own pace! Situated in the heart of Paris, opposite the Tuileries Gardens, the Musée dOrsay is renowned worldwide for its important collection of Impressionist art. This former station, inaugurated for the Universal Exposition of 1900, which was held in Paris, is a renowned building in its own right and well worth a visit. The museum presents the artistic production of the period 1848-1914, a decisive period in the art history which gave birth to the masterpieces of Impressionism. Bal du moulin de la Galette. Pick up your Skip-The-Line Orsay Museum ticket at our partner centrally located office near Le Louvre and visit any day you want ! Please note the date selected at the time of booking is the date where you are expected to pick-up your tickets at our partner office. You may visit the museum at any other time. Please note that you order cannot be delivered at your hotel. This is a Pick-up only service. During the combined tour , you will discover by Panoramic Motorcoach the most notorious and beautiful monuments of Paris by audio commentaries available in 10 languages. The departure will be from central located agency in the city facing Joan of Arc Golden Statue on a horse. A Skip the line Orsay Ticket is included in order to give you the opportunity to visit the Museum at your own pace. Admire the Beaux-Arts architectural features of this former Paris railways station, on the left bank of the Seine. You'll find artworks by the masters, including Degas, Cézanne, Van Gogh, Manet and Monet. Spend as long as youd like perusing the galleries at your own pace! Combo City Tour of Paris & Priority ticket to the Louvre Museum at your own pace. Discover the City by Panoramic Motorcoach , severals departures per day from our central located agency located nearby Joan of Arc golden Statue on a horse, nearby the Louvre Museum. Choose a suitable time to enjoy during one hour and half some most beautiful and amazing monuments. Other symbolic places such as Place Vendôme,Opéra Garnier, Orsay and Louvre Museums , The impressive Notre Dame de Paris Cathedral and so many more. The return back will be at the agency. With the Priority Ticket to Orsay Museum, you will discover a very complete Impressionist and Post-Impressionist art collection : all the greats are there : Manet, Monet, Van Gogh, Cezanne, Degas, Gauguin- A vast collection of sculptures, decorative arts and architectural elements.The museum , ancient Railway Station is located facing the Tuileries Gardens. You cannot miss the 2 Massive clocks from the Gardens on the left bank nearby the Louvre!! There may be a period of waiting time at the Vigipirate security checkpoint and at the entrance to the exhibition. Enjoy skip-the-line access and learn the stories behind some of the worlds most famous works of art on this private tour of the Louvre Museum and the Musée dOrsay in Paris. With your informative English-speaking guide, visit the Louvre and admire the 'Mona Lisa,' 'The Raft of the Medusa,' 'Venus de Milo' and other masterpieces. Enjoy some free time before meeting your guide again at the Musée dOrsay, home to 4,000 artworks from the second half of the 19th century by artists including Van Gogh, Monet, Renoir and Rodin. This private tour limited to four people ensures more personalized attention from your guide. After meeting your guide at your central Paris hotel, travel by metro or comfortable minivan to Carrousel du Louvre, an underground shopping mall near the Louvre. You will use the mall's underground entrance to access the Louvre, bypassing the long entry lines to the most visited museum in the world. During your 2-hour visit to the Louvre, your informative guide will share anecdotes and history about artistic masterpieces including the Mona Lisa, Venus de Milo and The Raft of the Medusa. Admire works by artists such as Rembrandt and Delacroix, and tell your guide about any other works you particularly want to see. Enjoy some free time during which you can have lunch (own expense) before rejoining your guide at Musée dOrsay. A former train station, this museum houses more than 4,000 artworks from the second half of the 19th century by legends including Van Gogh, Monet, Renoir, Gauguin and Rodin. Again, enjoy the convenience of skipping the entry lines. Your guide will show you the highlights, sharing facts and stories to help you better understand the significance of the many famous artworks here. Since this is a private tour, feel free to ask your guide as many questions as you wish and take your time appreciating your favorite pieces. You can also adjust the times of your museum visits to suit your taste. Your guided visit to two of the worlds most famous museums ends at the Musée d'Orsay. 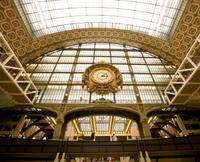 Enjoy exclusive skip-the-line entry into one of Paris's most beloved museums, the Musée d'Orsay, on this 2-hour tour. Together with your guide and small group of fellow tour participants, you'll enter a world of color and light, taking in all of the museum's most iconic works. See masterpieces by the likes of Van Gogh, Monet, and Renoir, and perhaps find a few unexpected favorites. Your guide will provide details about each work as well as the artist who created it, bringing each piece to life through expert commentary. The Musée dOrsay, and its stunning array of paintings, sculptures, and furniture, is housed inside a striking former railway station and beloved by Parisians and travelers alike. Prepare to experience the best that this museum has to offer, including the largest collection of Impressionist and Post-Impressionist works on the planet, on this enlightening tour. Join your guide and small group by the elephant statue outside the museum, then enjoy speedy skip-the-line entry to make the most of your time. Once inside, your guide will introduce you not only to the masterpieces themselves, but also to the masters who created them. Discover the unique period of Impressionist art and learn how it was harshly criticized in its time, as well as how painters such as Monet radically changed the way we view and depict the world. Your guide will ensure you get close enough to see the individual brushstrokes that are so characteristic of these paintings. Many of the museums most famous works are by French and Paris-based artists, or depict scenes of France. Even though Van Gogh was Dutch, well see his famous Starry Night over the Rhône, a representation of the French city of Arles. The Orsay is also home to Renoirs Impressionist masterpiece Dance at Le Moulin de la Galette, a representation of a typical Sunday afternoon in the Pariss Montmartre district. Your guide will transport you into Renoirs 19th-century Paris, where his dancing, drinking Parisians will seemingly come to life before you. Your tour concludes inside the museum, leaving you free to continue exploring at your leisure. Dont miss the worlds greatest collection of Impressionist and Post Impressionist art! The Musée dOrsay is home to some of the worlds most iconic artworks, created by now legendary artists such as Monet, Manet, Renoir and Van Gogh. Follow your guide on a 2-Hour journey through one of the most exciting periods of the history of art, and discover one of the most dazzling museums in Paris. Small groups and electronic headsets allow for a relaxed and intimate visit. Did you know the Musée dOrsay is the Parisians favorite museum? This spectacular Beaux-Arts building was once a train station, and is now one of the must-see museums for all visitors to Paris. Meet your guide just outside the museum, and join our tour, allowing you to skip the long lines Our fully accredited local guides are eager to share their passion for this stunning museum with you and your group. Learn about how these now well-known paintings were considered so scandalous when they were first shown, how their sublime colors and revolutionary techniques shook the art world to its foundations, and how the colorful lives of the painters themselves shaped their work and dramatically changed the face of art. Let your guide take you on a journey through time and discover how these daring artists fought to be recognized. You will certainly recognize many of the breathtaking paintings on show here, and the chance to see Monets Water Lilies or Manets sublime Olympia up close is not to be missed. Your guide will take you to the most iconic and important works in the museum, after your tour you are free to spend as long in the museum to continue exploring as you wish. Dont miss the Parisians favorite museum, and the largest collection of Impressionist art in the world. The Musée dOrsay is home to some of the worlds greatest masterpieces  This magnificent museum is a hidden gem that should be included in any visit to Paris. Book a 2-hour private tour of up to 7 people, and be led to the most iconic pieces by your expert local guide, allowing you to discover the highlights of this incredible museum in a relaxed and intimate atmosphere and at your own pace. My dear friend, your train station looks like a Palace of Fine Arts while our Palace of Fine Arts looks like a train station is what the architect Victor Laloux heard in 1900 when his spectacular station was inaugurated. Nowadays this wonderful light and airy space is home to the Musée dOrsay. Dedicated to the art of the second half of the 19th century, one of the most exciting and daring periods in artistic history, you will discover how the Impressionist movement burst onto the scene and changed the face of art forever. Follow your guide and step into a world of color and light. Monet, Manet, Van Gogh, Cezanne and Renoir, this museum is home to some of the greatest, and most recognizable works of art in the world. Witness up close the swirling colors of artistic revolution, as your expert guide explains not only the artworks, but also the incredible changes that were also taking place in French society at the time. Learn about the colorful and often unconventional lives of the mythical artists represented here, many of whom lived and worked in Paris. Its not surprising that this visit is also one of our guides favorites. Enjoy the privilege of your own private guide. This tour will allow you to customize this visit according to your preferences. Dont miss the worlds greatest collection of Impressionist and Post Impressionist art! The Musée dOrsay is home to some of the worlds most iconic artworks, created by now legendary artists such as Monet, Manet, Renoir and Van Gogh. Follow your guide on a 2 hour journey through one of the most exciting periods of the history of art, and discover one of the most dazzling museums in Paris. After your tour, enjoy a delicious gourmet French lunch in the spectacular museum restaurant. Housed in a spectacular Beaux-Arts building that was once a train station, the Musée dOrsay is now one of the must-see museums for all visitors to Paris. Meet your guide just outside the museum, and join our tour, allowing you to skip the long lines and gain priority access. Our fully accredited guides are eager to share their passion for this stunning museum with you and your group of 25 people or fewer. During your visit, learn why these now-renowned paintings were considered so scandalous when they were first shown; how their sublime colors and revolutionary techniques shook the art world to its foundations; and how the colorful lives of the painters themselves shaped their work and dramatically changed the face of art. Let your guide take you on a journey through time and discover how these daring artists fought to be recognized. You will certainly recognize many of the breathtaking paintings on show here, and the chance to see Monets Water Lilies or Manets sublime Olympia up close is not to be missed. Your guide will take you to the most iconic and important works in the museum, and will end the tour by escorting you to the museum restaurant . After the museum tour, enjoy a delicious lunch at the Musée dOrsay restaurant. Built in 1900, this lavish dining room is listed as a historic monument, and serves fine, traditional French cuisine. A meal under the glittering chandeliers is the perfect way to end your tour of this dazzling museum. After your lunch, you are free to continue exploring the museum at your leisure. Fall in love with the masterpieces of the Impressionism art movement on this exclusive family tour with a top rated guide specialised in working with kids! Both parents and children will have fun while hearing fascinating stories and discovering surprising facts about life and works of some of the world's best modern artists. You will take a close look to famous works by Monet, Renoir, Manet, Van Gogh and many more. You will learn and enjoy playing educational games and activities especially designed for this private tour, tailored on your family! You will enjoy sculptures, paintings and other great artworks created by famous modern masters such as Monet, Van Gogh, Gauguin, Renoir. You can choose between a 1,5, 2 or 3 hour private tour. All those options include the highlights of the museum. However the longer the tour the more you can see and visit. 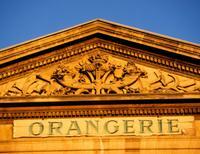 In addition you will discover the secrets and curiosities of the special architecture of the Musée dOrsay. It was a former railway station, built for the Universal Exhibition of 1900. Your guide will take you to the upper big clock to enjoy a breathtaking view of the city of Paris. Your kids will love Impressionism, your guide and this amazing tour. Offer your family a funny and educational experience while booking this tour at the Musée d'Orsay. Your children and yourself will discover a magnificent 19th century architecture and one of the richest Impressionism collections alike! Your kids will be enthralled in a mystery-like visit which makes them both discover Monet, Renoir or Van Goghs masterpieces and  most important - have fun! Meet your guide in front of the magnificent Musée d'Orsay façade and receive your skip-the-line tickets and an activity booklet for each kid. Through a no-queue entrance, youll immediately begin your journey into French Art History. the Statue of Liberty! Afterwards, and according to your childrens own interest, you might stop at a Rodin sculpted group or at Pompons Polar bear. The impressionistic gallery will overwhelm your expectations. And your kids ones. Because every masterpiece has a little secret to unveil: who really are the characters in Claude Monet's Poppies? What of so surprising about Degas statue Small Dancer aged 14? Did Cézanne eat all the apples he painted? Thanks to your guide explanations, tailored on your children age and level, your family will experiment an interactive artistic discovery and wont miss any must-see paintings, whether it be Van Goghs Sunflowers or Gauguin Tahiti scenes. Start off by exploring the magical streets which wind their way up Montmartre to Sacré Coeur. This is where Van Gogh found his calling. Where Renoir emerged as leader of the Impressionists. And where Picasso became a great master. Locals say the hill is enchanted. Explore the charming, historical hill top. And discover the Sacré Coeur basilica, artists' square, Moulin Rouge, and the cabaret of the assassins. After your small group tour, enjoy skip-the-line access to the Musée d'Orsay, the world's largest collection of impressionist art. Or save your ticket for the day of your choice. As you explore the museum, you recognize the streets and shops of Montmartre in every gallery. To fully appreciate the Musée d'Orsay, you need to know the hill of Montmartre. You will see Montmartre in the paintings of the Orsay. This 90 minute walking tour is a must for any art lover. Your guide meets you in front of the world-famous Moulin Rouge (metro 2, station Blanche). She explains how this cabaret helped make Montmartre a hotspot for both debauchery and art. Together, you embark up the hill. Weave through the magical streets which enchanted generations of artists. As you discover famous artist's houses and favorite hangouts, your guide shares their stories. She shows you their impressions of Montmartre. She has pictures so you can recognize the paintings up-close on your visit to the Musée d'Orsay. As you make your way up the hill, your guide points out its ever-evolving street art. You stumble upon secluded secrets such as the only vineyard in Paris. And you feel the presence of the impressionists every step of the way. The 90-minute tour concludes alongside the gleaming Basilica du Sacré Coeur de Montmartre. Your guide shares the violent history of its creation (hint: there was a revolt). She lingers for a while to answer your questions about where to eat, how to get to the Musée d'Orsay, or anything else! Part ways overlooking the entire city of Paris from a top Montmartre. You are now well prepared to visit the Musée d'Orsay. Your skip the line access is valid any time after your tour. Having seen Montmartre through the eyes of its artists, you are enchanted by the characters and places you recognize from your visit. Van Gogh and Renoir and Toulouse-Lautrec are now familiar friends. Admire the symbolism of displaying impressionist masterpieces in a beautiful train station. Enjoy a tour of the Musée d'Orsay with a private guide, and enjoy skip-the-line access at this popular attraction on the Seine waterfront (entrance fee not included). You'll discover Impressionist works by Monet, Degas, Renoir, and more as you learn about them with insight from your guide. Select a departure time when booking, including the possible Thursday evening slot. Meet your private guide at a designated point to begin your tour of Musée d'Orsay with skip-the-line access (entrance fee is at your own expense). Inside the museum, one of Paris' most beautiful, your guide leads you around and tells you about the lives of the painters whose works are on display. The museum covers the revolutionary Impressionism art movement (1848-1914) and the later Post-Impressionism era. See works by Monet, Manet, Renoir, Cézanne, Rodin, Degas, Ingres, Gaugin, Van Gogh, and others, and admire the architecture of the museum itself, a former Beaux-Arts railway station. Follow in the footsteps of Picasso, Monet, Renoir, Cézanne and other famous Impressionist painters on this small-group Paris tour combining an Impressionist walk through Montmartre, and a skip-the-line tour of the Musée d'Orsay. See the historic sights, cabarets and artist studios of Montmartre, including Moulin Rouge and Basilique du Sacré-Coeur, then skip the line at the Musée dOrsay for a guided tour of Paris' largest collection of Impressionist works. Meet your guide at the base of Paris' hilly Montmartre district and set off to begin your 5-hour Impressionist walking tour. Historically an artsy, off-the-grid and rebellious area near Paris' outskirts, Montmartre was the haunt of the most famous artists and writers of the late 19th and earlier 20th centuries, including Renoir, Monet, van Gogh, Degas and Cézanne, and the streets echo tales of their provocative antics both on and off the canvas. Strolling along picturesque cobbled backstreets dotted with artist studios, bohemian hangouts and old cabarets, gain insight into the sights and sounds that inspired these talented artists. See the houses where artists such as Picasso and van Gogh lived and worked, and visit the windmill featured in Renoirs provocative Bal du moulin de la Galette. Pause in front of the world's most famous cabaret, Moulin Rouge, and put yourself in the shoes of the talented Toulouse-Lautrec, who regularly sat before the debaucherous after-hour scene here, paintbrush in hand. Conclude your Montmartre stroll under the iconic dome of Basilique du Sacré-Coeur. Enjoy breathtaking views over Paris from Montmartre's highest point. You'll then have free time for lunch (own expense). Hop in a private vehicle and drive down the hill to your next stop, the Musée dOrsay, on the left bank of the Seine River. A former train station built at the turn of the 20th century, the Musée dOrsay is now a museum that houses one of the finest and extensive collections of Impressionist art in the world. As one of Paris' most popular tourist attractions, the entrance lines can get quite long, but with your skip-the-line ticket, you'll bypass the queues and head straight inside for a 2-hour guided tour. Follow your guide from one Impressionist or postImpressionist masterpiece to the next, created by luminaries such as Monet, Manet, Renoir, Cézanne and Gauguin. Learn about the skillful techniques employed by these awe-inspiring masters, and gain insight into the significance behind selected works. Your tour finishes inside the museum. Spend no time queuing so you have more time to admire some of history's most famous artworks on this small-group tour of the Louvre and Musée dOrsay in Paris. Enjoy skip-the-line entry and guided tours of these two incredible museums to learn about their masterpieces. View the Mona Lisa and 'Venus de Milo at the Louvre and thousands of 19th-century pieces by Van Gogh, Monet, Renoir, Rodin and more at the Musée dOrsay. Your expert guide will take you on a journey through the history of art, from the antiquities of ancient Greece to the groundbreaking art of French Impressionists and post-Impressionists. Numbers are limited to 5 on this small-group museum tour, ensuring youll receive personalized attention from your guide. Meet your guide at the Louvre Pyramid in the morning for your small-group tour of the Louvre and the Musée d'Orsay, two world-renowned museums that are home to Paris most prized artworks. Youll follow a chronological path of art history today, starting with ancient Greek mythology and the Golden Era of gods and heroes at the Louvre, all the way through to the colorful and vibrant styles of the French Impressionist art movement at the Musée dOrsay. With your skip-the-line ticket, bypass the long entry lines and start your 2-hour guided tour of the Louvre. Tackling this massive museum on your own can be overwhelming, but your guide will lead you on a comprehensive path to help you grasp the Louvre's impressive and extensive collection of art and artifacts. See works by masters Raphael and Delacroix, and stand in awe of the Louvres most celebrated pieces including the enigmatic Mona Lisa, Venus de Milo and The Raft of the Medusa. Break for lunch (own expense) at a nearby café or restaurant with your guide before the 10-minute walk across the Seine to the Musée dOrsay. This museum is located in a beautiful Beaux Arts building that was formerly used as the Gare d'Orsay railway station, and is now home to more than 4,000 19th-century artworks by masters including Van Gogh, Monet and Rodin. Skip the entrance lines for a 2-hour guided tour of the Orsays highlights. Discover the artists that paved the way for the French Impressionist art movement, such as Manet, Renoir, Cézanne, and Gauguin, and learn the secrets behind their techniques. Your guide will share facts and stories to help you better understand the significance of the many celebrated Impressionist and post-Impressionist pieces here. At the end of your guided tour, youre free to continue exploring the Musée dOrsay on your own. On this 2 to 2.5-hour privately guided tour of the Musée dOrsay, you'll discover the must-see works hanging in this Parisian museum dedicated to 19th-century art and the Impressionists. With skip-the-line access, your private guide ensures that you spend your time admiring the paintings and sculptures rather than waiting in the lines. Select a departure time when booking. Paris other museum, the Musée dOrsay, is the perfect complement to the Louvre. With your private guide, begin your tour through this converted Beaux-Arts train station with skip-the-line admission. Inside, explore the artistic movements that led up to Impressionism and its colorful works. See Manets scandalous Luncheon on the Grass and Renoirs Dance at Le Moulin de la Galette. Discuss with your guide the artists who preceded the Impressionists, like Millet and 'the Gleaners,' as well as those who followed, such as Post-Impressionist artist Van Gogh, whose Bedroom in Arles is on display. And, of course, check out works by the father of Impressionism himself, Claude Monet, including his famous poppies. Learn about the art evolution and personalities that went into creating the Impressionist movement, and understand why these seemingly simple works were so revolutionary at the time. By the end of your tour, you'll have learned about techniques used by the artists, seen both the highlights and lesser-known gems of the Orsay, and admired the beautiful architecture of the museum itself. Join us on a 2 to 2.5 hour semi-private tour of the Musée dOrsay and explore the must-see works hanging in the Musée dOrsay, Pariss gallery dedicated to 19th century art and the Impressionists. Cut the lines with our dashing young guides along with a group of no more than 6 travelers as you jump right into the sculptures and paintings in this world renowned gallery. Consider our Thursday evening option to beat the crowds if possible. Join a guide on a tour through this converted, century-old train station and explore the artistic movements that led up to the Impressionists and their vibrant, colorful works. Visit Manets scandalous Luncheon on the Grass and Renoirs Dance at Le Moulin de la Galette. Learn about those who preceded the Impressionists like Millet and The Gleaners, as well as those who followed like Van Gogh, as visible in his Bedroom in Arles. And of course youll check out works by Monet himself, including his famous poppies. Learn about the history and evolution behind this movement and understand why these seemingly simple works were so revolutionary at the time. Beat the queues and admire some of history's most treasured artworks at the Louvre Museum and Musée d'Orsay on this private tour. Enjoy skip-the-line entry to these world-famous museums and marvel at must-see masterpieces including the 'Mona Lisa,' 'Venus de Milo,' and 19th-century classics from Monet, Renoir and van Gogh. Journey through the history of art, from Greek antiquity to the postImpressionists, while learning about the pieces from your expert private guide. Meet your guide at the Louvres famous glass pyramid in the morning. With your skip-the-line ticket, bypass the notoriously long entrance queues and head straight inside for your private 2-hour tour. One of the largest palaces in the world, the Louvre's five floors and endless stream of corridors are packed full of fascinating world heritage including the Egyptian kings and queens, Roman conquerors, Eastern antiquity and modern Western works. Tackling the Louvre solo can be a daunting prospect, but youll navigate with ease alongside your expert guide, wholl take you to the museums most famous pieces and lesser-known gems. Admire pieces by luminaries such as Raphael, Delacroix and da Vinci, and gaze in awe over the Mona Lisa, The Raft of the Medusa, Venus de Milo and other legendary works throughout the centuries. After breaking for lunch at a local cafe or restaurant (own expense), take a 10-minute stroll over the Seine River to the Musée dOrsay. Housed inside a stunning 19th-century Beaux-Arts building, the Musée dOrsay houses the finest collection of Impressionist and postImpressionist masterpieces in the world, with more than 4,000 works on display throughout the hallowed galleries. Masters van Gogh, Monet, Renoir, Degas and Rodin are particularly well-represented. Bypass the lines and head inside for your 2-hour private tour. Begin with bold French painters such as Manet, Renoir, Cézanne and Gauguin, who bucked tradition to pave the way for the modern Impressionist movement. Discover their styles and techniques, then move on to explore famous works by Eugène, Boudin and Monet, some of the first artists to embrace modern paint technologies and take their easels out into the open air and capture the light sur scène. Listen as your guide explains the intricacies of the works on display, and gain insight into the skills employed by these masters. At the end of your tour, you can continue perusing the museum at your leisure. Follow in the footsteps of the Impressionists on this private tour of Montmartre and the Musée dOrsay. See the places that inspired Impressionist painters such as Van Gogh and Monet as you wander Paris' charming bohemian neighborhood of Montmartre, stopping at Moulin Rouge, Le Clos vineyard and Basilique du Sacré Coeur for sweeping city views. Then enjoy skip-the-line entry to the Musée d'Orsay for a guided tour of the museums fantastic collection of 19th-century art. Meet at the base of Montmartre for your private walking tour of this beloved Paris neighborhood. Your guide will reveal Montmartre through the lives and works of Renoir, Monet, Van Gogh and Cézanne  a handful of the art rebels who lived on the edge of Paris on the charming hill of Montmartre, and who all paved the way for the Impressionist art movement in Europe in the 19th century. Strolling through Montmartres romantic streets, youll get a first-hand look at the places that inspired the Impressionist painters. See where Van Gogh and Picasso lived and worked, visit the windmill that Renoir featured in his scandalous piece Bal du moulin de la Galette and walk past the Moulin Rouge cabaret that inspired Toulouse-Lautrecs distinctive artistic style. Your leisurely walk ends at the hill's highest point, iconic Basilique du Sacré Coeur, boasting spectacular views over Paris. After lunch (own expense), you'll be driven by luxury private vehicle to the Musée dOrsay on the left bank of the River Seine. This mesmerizing museum is home to Paris largest collection of Impressionist art. Use your skip-the-line ticket to bypass the entrance lines and head straight inside for a 2-hour guided tour. Browse a rich collection of 19th-century French art by Manet, Renoir, Cézanne, Gauguin and more, and learn about the techniques used by the Impressionists and post-Impressionists from your guide as you admire the array of artworks. You are free to stay and continue exploring the museum at the end of your guided tour. Come and visit the Musée d'Orsay - a magnificent beaux-arts style train station that is home to the largest collection of Impressionist art in the world! See up close the dazzling colors of the most famous impressionist painters: Vincent Van Gogh, Claude Monet, Edouard Manet, Paul Cezanne, and many, many more! Learn not only about the stories of the painters, but also about the artistic revolution that they launched in Paris. The small group (4 pers. max) will ensure your visit is intimate and you are able to get the most from your visit. This 2-Hour visit of the Musée d'Orsay is also a chance to learn about the history of Paris at the turn-of-the-century, sure to capture the imagination and attention of people of all ages. Learn the incredible stories behind these eccentric painters: the water lily pond Claude Monet built in his back yard, the tragic and beautiful life of Vincent Van Gogh, the bizarre predilections of Toulouse Lautrec, and so much more! Skip the long line and enter immediately into the museum with your nationally-certified guide to take full advantage of the museum's legendary collection. The visit lasts around two hours and covers the most famous pieces on display. We offer you a 4-hour visit of the two most famous museums in Paris, Le Louvre and Orsay. Simply by crossing one bridge between the two museums, you will be able to discover 3000 years of History. A coherent journey to help you understand the transition between these two legendary museums. Welcome to the Louvre, the vastest and most abundant museum in the world. However, out of the 35,000 masterpieces exposed on the walls, you will unfortunately not be able see Monet or Renoirs paintings. Indeed, the museums collection concludes in the middle of the 19th century. You will therefore simply have to cross a bridge to dive into the revolutions of this fascinating century presented in the Musée dOrsay. Mon Beau Paris offers you the chance to cross that bridge and to follow our qualified guide on a coherent journey from the Louvre museum to the Musée dOrsay. Together, we will learn about the History of Art from Egyptian and Greek Antiquity, the Renaissance masters such as Leonardo Da Vinci up to the greatest painters of avant-garde Impressionism. Throughout a four-hour journey full of spirited anecdotes, you will appreciate the links between the different styles and movements. Finally, through the richness of this tour, you will have an epiphany: all the artists have never stopped reinventing themselves while learning from their senior masters. Skip the line with a 1.5-hour guided small-group tour of the Musée d'Orsay. See masterpieces of French Impressionism: marvel at paintings by Ingres, Millet, Monet, Manet, Cezanne, Degas, Van Gogh and more. Admire the sculptures of Rodin and Clesinger. Learn about the architecture of the museum, formerly a railway station, and hear about the construction of the Opera Garnier. Along the way, your guide will explain the social and historical context of the 19th century, to help you better understand the inspiration of the painters. Small-group tour is limited to a maximum group size of four people. Starting outside the Musée d'Orsay, admire the statues at the front entrance. Once inside, see the architecture characteristic of a former railway station and marvel at some of the sculptures by Clesinger and Rodin. Begin the tour with paintings of Millet, Delacroix, Ingres, and Courbet and hear an explanation of Paris life during the Impressionist era and the construction of the celebrated Opera Garnier. After this introduction, marvel at famous paintings from Monet, Manet, Cezanne, and Degas, as well as some sculptures by Degas. Along the way, your guide will explain the social and historical context of the 19th century to help you better understand the inspiration of the painters. You will end the visit with paintings of Van Gogh and Gauguin. On this small-group tour limited to four people you'll be able to ask as many questions as you like. Discover the world’s largest collection of Impressionist art on a privately guided tour of the d’Orsay Museum in Paris. Your exclusive guide will take you on a discovery of works by luminaries like Monet, Renoir, and Cezanne. Tour the legendary d'Orsay Museum in Paris. You'll explore the world's largest collection of Impressionist art, with your own exclusive guide. Your cultural adventure in Paris would not be complete without visiting the d’Orsay Museum. Home to the world’s most important collection of Impressionist and Post-Impressionist art, the d’Orsay Museum is a local favorite and offers you a true Parisian experience. Your guided tour of the d’Orsay Museum is designed for you to marvel at the unique architecture of the museum as you explore works by Impressionist artists such as Renoir, Van Gogh, and Monet. Your guide will take you through the museum’s spacious rooms full of natural light to explore innovative Impressionist art. Your tour of the d'Orsay is more than just an art exploration - it's also a study of the building itself - one of the most unique museums in the world. At the end of the tour, your guide will leave you at a museum café to enjoy stunning views of the Seine River, and enjoy the museum’s architectural beauty as you reflect on your visit. Please note entrance fees are not included in the tour. Immerse yourself in the colorful and expressive world of the Impressionists in this exclusively private, skip-the-line 2-hour excursion of the Musée dOrsay. Come face to face with iconic greats like Monet, Renoir, Cezanne, Degas, and Van Gogh as you explore the worlds premier collection of 19th century art. A group max of 6 people means quality time with your own personal art historian as you journey along a timeline of unprecedented artistic achievement. Leave the tourist crowds behind and skip the long lines. This private tour of the Musée dOrsay is limited to just 4 people to guarantee a unique and personal experience with a certified art historian who can answer all your questions and get you to the heart of Impressionism. the list is endless. Instead of getting lost and overwhelmed, let us expertly navigate you to all of the must-sees so you dont miss a thing. Learn how Manet scandalized the art world and witness the masterpieces that rocked the foundations of Parisian conventions. Delve into the mind of Cezanne and his obsession with painting the perfect apple. Surround yourself with the pastel cathedrals of Monet, the plump aristocrats of Renoir, and the spritely ballerinas of Degas. Get closer than you ever thought possible to Van Goghs Starry Night and watch as its colorful strokes seem to twist and undulate in front of you. Get lost in the intricate pointillism of Seurat where tiny specks of color mystically converge to create beautiful scenes of 19th century life. Every step of the way youll enjoy in-depth breakdowns provided by your guide as you discover secret details hidden in plain sight and hear of the trials and tribulations that brought forth such breathtaking canvases. Take advantage of this rare and intimate exploration of a world-renowned museum. Orsay and Montmartre are the two major spots to learn about the impressionist and post-impressionist styles born in the 19th century. The former gathers an outstanding collection of artists such as Manet, Monet, Degas, Renoir, Cezanne, Van Gogh among others. The latter was their home and source of inspiration. Taste traditional champagne and cheeses before ending the visit at the Sacre coeur and its panoramic view of the city. After the Louvre, Orsay is the most visited museum in Paris. Millet, Courbet, Manet, Renoir, Monet, Van Gogh, Cezanne among others lived in a changed world. Politically speaking the 19th century was chaotic and in the arts, a revolution. Explosion of colors, daily life subjects, innovative techniques were extravagant and considered as pure ugliness. Follow your guide and discover why major works of art were rejected by the official academy and how stubborn artits were to do as they pleased since they knew they helped history of art to develop. Montmarte is our next stop. On our way to the top of the hill, explore its streets while listening to your guide's stories that will take you back in time. Windmills and plaster quarries turned into a slum and a paradise lost for many artists including Van Gogh and Picasso. Before reaching the spectacular panoramic view of Paris and admiring the beauty of the Sacre Coeur, we will take a few minutes to taste two different champagnes with excellent cheeses at a very special place. Budget at least 90 minutes to spend in the Musée d'Orsay—though personally I'd give it about 3 or 4 hours. This is, after all, the single greatest collection of Impressionist works in the world. You can get a "passport" ticket covering admission to both the Musée d'Orsay and the Orangerie for €16 (as opposed to the regular total ticket price of €21). There is also a ticket good at both both the Musée d'Orsay and the Musée Rodin for €18 (as opposed to €22). Both last for three months, but are good for only one admission at each museum. Those all do save you a bit of money over seperate admissions, but frankly, the unlimited-entry Paris Pass or Paris Museum Pass also cover all those museums and are better deals overall. Admission to the Musée d'Orsay is free—and the museum is intensely crowded—on the first Sunday of every month. Just who are these "Impressionists" anyway?